Clearing the decks for the entry of Chinese power generation equipment manufacturers in India, the government has asked domestic utilities to increase their plant capacities to 300MW and 600MW. At present, their unit size is 250MW and 500MW, respectively. This decision is expected to increase competition for Bharat Heavy Electricals Ltd (Bhel), India’s leading power equipment generation manufacturing company, as it has a monopoly in the market with unit sizes of 250MW and 500MW. It will also improve the chances of Chinese players such as Dongfang Electric Corp., Shanghai Electric and Harbin Power to land contracts in India. This decision comes on the back of the government’s concern about Bhel’s ability to supply equipment that can help meet growing demand for power generation equipment. India has set up an ambitious target of adding 78,577MW of power in the next five years. “We believe that this will make the rates more competitive for the utilities," the government official added. Wen Ya, Dongfang’s chief representative in India, said: “This is good news for us as this was a problem for other Chinese companies as well. This decision will help us to bid more competitively. 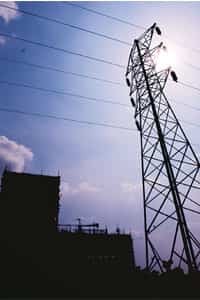 This decision has been taken due to a shortage of power generation equipment supply in India and would increase competition, which, in turn, would lower tariffs." Power sector analysts agree. Hitul Gutka, an analyst at India Infoline, said: “If something like this happens, it will be very positive for the sector as it will reduce the equipment constraints. This will also ease some pressure from Bhel and will improve the visibility for achieving some part of the plan targets." Chinese majors such as Dongfang use technology from Alstom SA for boilers and Toshiba Corp. for turbines, and have a current manufacturing capacity of 31,000MW per year. That compares with the current capacity of Bhel of 7,500MW per year, which the company plans to augment to 15,000MW by 2009.